Back to School ’07: Someday, your education may pay off. Every year as the back-to-school sales started, my mother would take me up and down the school-supply aisles looking for the perfect Trapper Keeper binder. Each one spoke volumes of its owner’s individualism. My friend Eugene had unicorns on his Keeper and Suzy had The Smurfs. Growing up, my three best friends were ABC, NBC and CBS. So, trapped between the plastic smells of my binder when I unfastened the Velcro, was an homage to The A-Team, Knight Rider or the cast of Happy Days. As I got older and paid for my own school supplies, I no longer cared for characters on my notebook; I was only concerned with price. How little could I spend? And how many sheets of paper could I get? Three-ring binders were for the rich kids. I’d buy a one-ring binder. My book bag was a plastic sack from Smith’s and most of my pens had strings, wires or chains still attached to them. The other half of the chain, wire or string was left dangling at the bank, grocery store or that place on campus where I endlessly signed 10 years of my future paychecks away applying for student loans. I ended up with a degree, but the real education came in the form of a B.S. in Cheapness. The mantra to this schooling, like buying paper, speaks reams: How little can I spend? How much do I get? Extrapolating this education into the world of dating, I called Meg. Already I felt cheap. Purposely, I kept the conversation short to save minutes on my cell phone. Just then, the water on my stove started boiling. And, this being the first date, I figured we’d meet for tea. We could have gone out, but that would have cost more, and I’ve recently discovered mulberry yellow tea (MulberryYellow.com). This tea is imported from Southeast Asia by a Salt Laker named Jake Dunlop. The ancient Taoists believed that the mulberry yellow mushroom was an “elixir of eternal youth.” Emperors of China and Japan drank it for vitality and memory. Meg and I drank the mulberry yellow mushroom so we could have enough energy to go roller-skating. The Classic Fun Center (ClassicSkating.com) in Sandy (9151 S. 255 West, 568-9781) has daily specials making any night, even when you’re opting for a trip to the nearest Coinstar machine, affordable. Monday is family night (note: insert own Family Home Evening joke here) where up to five people (preferably related but not strictly enforced) can skate on a turquoise-colored floor below several trippy disco balls and neon lights from 5-9 p.m. for only $10. Luckily, whenever I’m south of 2100 South, my car is trained to drive to the Lone Star Taqueria (2265 Fort Union Blvd., 944-2300). Four tacos, two beers, one chips and salsa and less than $20 later, we were off to the bowling alley. Bonwood Bowl (2500 S. Main, 487-7758) boasts 42 lanes in large illumined letters outside its building recessed off Main Street. 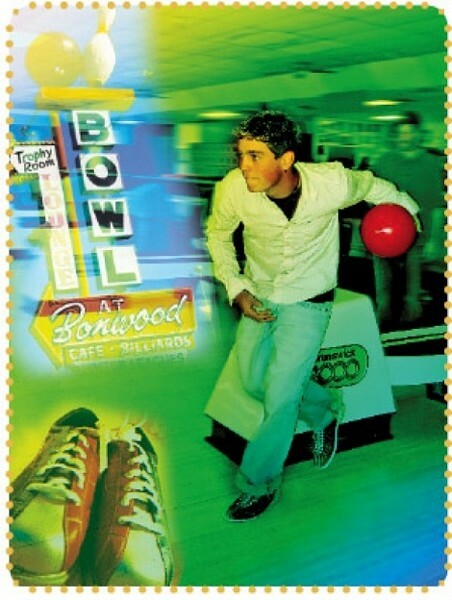 Bonwood is to bowling what Ebbets Field was to baseball. It’s a coin toss whether Bonwood is classic or awesome. And don’t be surprised if you’re bowling next to The Dude or Jesus. After 9 p.m. on weekdays, it’s only $6 for three frames and shoes. We didn’t check their calendar of events (AlchemyCoffee.com), but we could have stayed at Alchemy Coffee (390 E. 1800 South, 322-0735) until closing. Unfortunately, I idiotically had scheduled too many activities in one night. There’s often free music at Alchemy but always coffee. And deliciously made soups and sandwiches, too. At the Zanzibar (679 S. 200 West, 746-0590) Monday night is The Blue Devils Blues Review. Sign up. It’s an open mic night. Bring your drum sticks or guitar if you want to play or your voice if you want to sing. I brought Meg, and after Ingrid, the bartender, poured my $2 draft special, she took the mic and sang “Hoochie-Coochie Woman.” It doesn’t get better than a bartender with the blues. With a membership, Monday nights are free.